Willamette Law faculty includes some of the most respected legal scholars in the country nationally recognized for their research, publications and contributions to the law, particularly in the areas of constitutional law, commercial and business law, international and comparative law, environmental law, and dispute resolution. Yet it is their deep dedication to their students that distinguishes Willamette Law professors from others. The school's comprehensive curriculum is further strengthened by the talented lawyers and jurists who serve as Willamette's adjunct professors and visiting faculty. The College of Law faculty has been chosen for its ability to excite, instruct and inspire. In addition to their impeccable credentials and years of law practice, the Willamette faculty has a deep commitment to teaching. Thanks to the law school's intimate size, Willamette students are not relegated to working with teaching assistants. 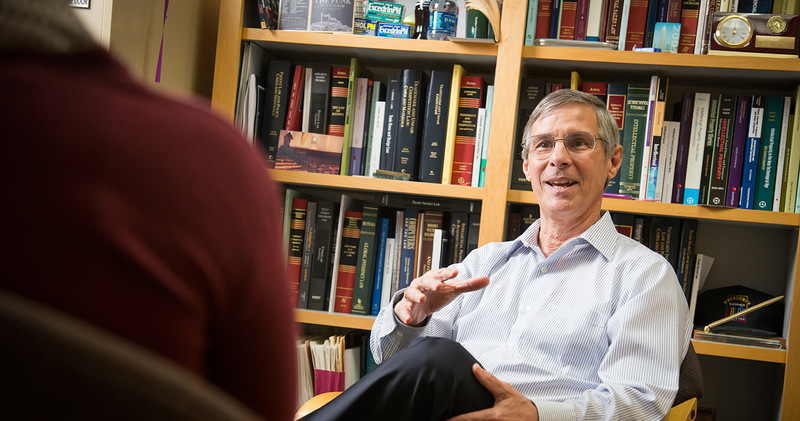 Professors meet one-on-one with students to inspire and challenge, helping students hone their analytical skills and sharpen their understanding of the law. Willamette Law professors also serve as valuable mentors to their students as they prepare to enter the legal profession.